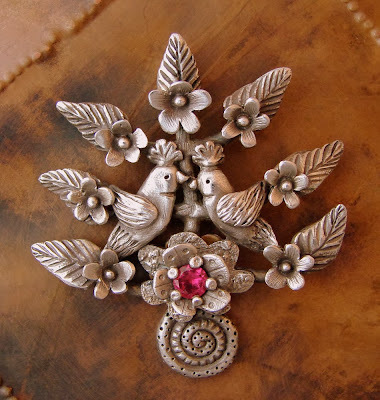 I started playing with metal clay in 2006, I took a class with Claire Holliday in San Antonio. Claire was my metals teacher and she mentioned to me this practically "new" material that she though I will like to play with. To be honest, I was not very happy with it the first time, I took the class but I was confused by the material and did not continue with it after the class. Everything changed when I took my second class with Claire again and came to the class with a more open mind. Something happen during that class that finally made me understood the incredible use I could do with this material. I was able to translate my ideas into reality, ideas that I have been holding on for a while. I was eager to start exploring more with this material and since that date I have not stop. 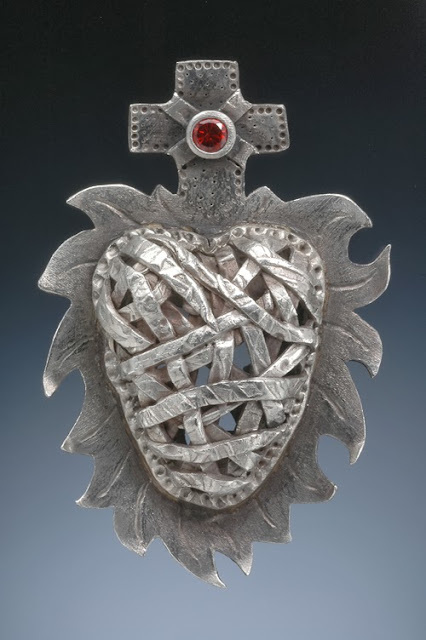 It was during this class that I made one of my symbolic pieces, my Flaming Milagro Heart. 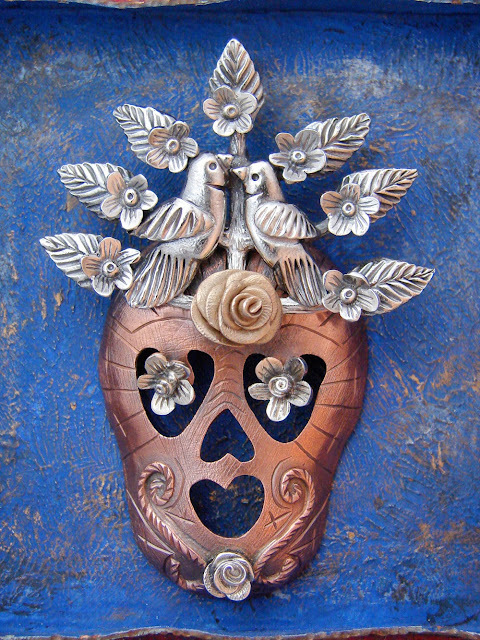 The heart was 4 inches tall by 3 inches wide and I sold it almost as soon as I made it. This is why I decided to make another one and it was this second heart the first piece I had published, my Flaming Heart. Hand sculpted in pure silver. 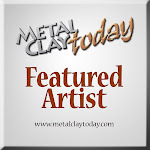 Since that date I have been creating most of my work with metal clay although I also fabricate my work and combine metal clay with fabrication techniques too. Another piece that has a special place in my heart is my Tree of Life, I enjoyed making them and sculpting the little birds that I always include in them. This was my first Tree of Life that I had published. 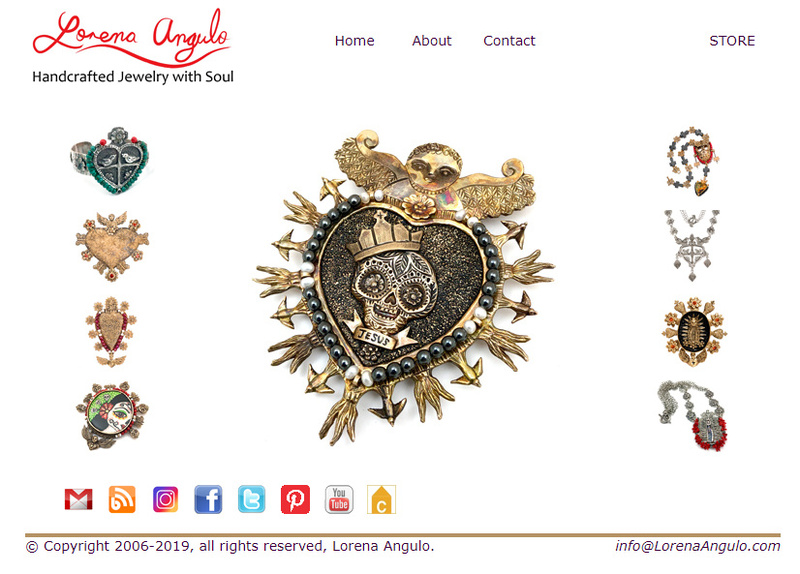 I am also known for my Calaveras and one of the calaveras that I have close to my heart and where I combined the use of metal clay and soldering and riveting techniques is my Corliss Calavera. Taking a look back at how I started is a great incentive for me to keep moving forward, after having a year of almost not creating as much I used to, I am now feeling great and I am ready to start creating as much as I used to. I am BACK !!! 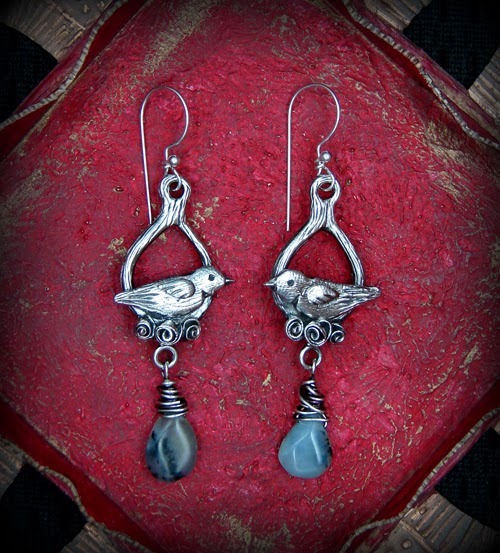 I can not avoid to smile when I create another set of little birds, I have missed making them so much! Your work is lovely, as always. I look forward to seeing more of it in 2014. It's great news that you are feeling good again and can get back to what you love to do!! I love your work! Wonderful to see you back full swing. I'll be following you closely since I will be doing some metal clay work of my own. Seeing your work years ago put a little seed in my heart that just grew and grew, and I fell in love with metal clay. Now I have my own kiln and I am enjoying BronzClay and CopprClay. I hope to work with silver some time soon too. Thanks for the inspiration, I am so excited to see what you will be making next!